The academic was sentenced to life in 2017 under UAPA for Maoist links. The Nagpur Bench of Bombay High Court yesterday refused to suspend the sentence of Professor G N Saibaba, who is undergoing life imprisonment in Nagpur central prison after his conviction in 2017 for offences under Unlawful Activities(Prevention) Act and Indian Penal Code. The judgment passed by Gadhicroli Sessions Court on March 3, 2017 had found Saibaba, formerly an English professor of Delhi University, to be associated with Revolutionary Democratic Front(RDF), which is allegedly affiliated to outlawed Maoist organization and held him guilty for conspiring to wage war against India. The application seeking suspension of sentence and release on bail under Section 389 Code of Criminal Procedure was filed primarily citing medical reasons. It was stated that Saibaba - who was bound by wheel chair due to post polio paralysis- was suffering from multiple ailments which required surgery and continuous medical treatment. Even as an undertrial, he was diagnosed to be suffering from maladies in pancreas and gall bladder necessitating immediate surgery, which could not be performed due to his conviction. The prison term worsened his situation and he developed spinal problems and kidney ailments as well, said the application. Vasantha Kumari, wife of Saibaba, filed an affidavit stating that prison authorities were not giving him the prescribed doses of life saving medicines. She reported that he was in acute pain and had fallen unconscious in his cell several times since his conviction and was unable to perform basic bodily functions such as urination, without severe pain. His brother Dr. Gopikrishna too filed an affidavit stating that he was in need of urgent medical treatment, given the progressing nature of his complex ailments affecting multiple organs. Opposing the application, the prison authorities stated that Saibaba was provided with necessary medical treatment and special facilities. They added that he was being regularly examined by the Doctors of Central Prison as well as Government Medical College and Hospital and he was taken to Super Speciality Hospital, Nagpur as and when required. Based on the records, the Division Bench of Justices P N Deshmukh and Rohit B Deo expressed satisfaction of the facilities and treatment given to him by prison authorities. The Court noted that "applicant is provided due care and medical treatment as and when required in Central Prison and he is referred to Super Speciality Hospital and Government Medical College and Hospital, Nagpur as and when required regularly and there is nothing brought on record that treatment required to applicant is not available in any of these Government Hospitals". During the pendency of the application, the Court had issued several directions regarding the treatment of Saibaba and had permitted his wife to accompany the medical examination. The Court had directed him to supply list of doctors of his choice and to specify dates on which they would be available in Nagpur to witness and supervise his medical examination. When medical examination as directed by the Court was about to be carried out, the government filed application seeking recall of the order citing the reason that one of doctor's suggested by Saibaba had "doubtful integrity". The Court did not recall the order, but imposed conditions for the presence of doctors, such as that they should communicate only in Hindi or English without using coded language, and that examination should be recorded in CCTV etc. The Court also refused to accept arguments for suspension of sentence based on the merits of the case. It said that normal parameters for suspension of substantive sentence cannot be applied in the instance case, considering the "serious nature" of offences involved., viz Sections 13,18, 20, 38 and 39 of UAPA and Section 120B of IPC. "As on going through the observations of learned trial Judge, applicant's involvement along with other co­-accused is found to have link and they were acting for alleged naxalite and banned Organization, i.e. CPI (Maoist) and its frontal Organization, i.e. RDF, assisting naxals on the basis of secret codes to facilitate them to reach their goals, the material produced forms a complete chain establishing applicant's involvement in the present crime along with other accused and as such, merely because applicant was on bail during trial, that by itself cannot be a ground to allow the application even on merits",observed the Court. The Court also added that the fact that he was released on bail during trial cannot be taken into account at post-conviction stage as presumption of innocence was no longer available. His conviction by Gadchiroli court was based primarily on incriminating articles, paper cuttings and electronic data in memory card and mobile phone, which were allegedly seized from him by police after his name was mentioned by one of the co-accused in a confessional statement. 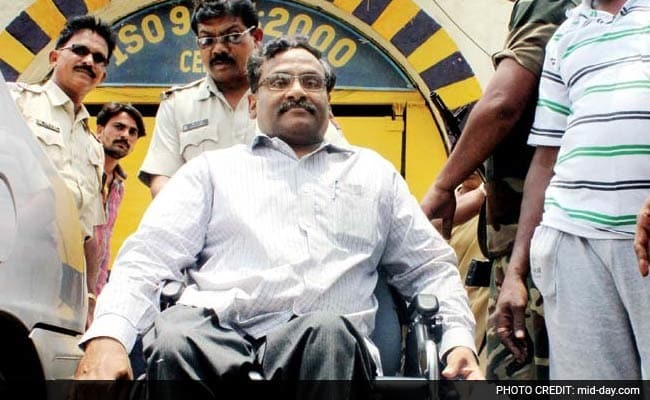 Commenting on his conviction, Amnesty International said it "believes that the charges against G N Saibaba are fabricated and that his trial did not meet international fair trial standards". Many in the academic fraternity criticised the Gadchiroli court's verdict as based on presumptions and conjectures. Several human rights activists across the world have expressed concern over his imprisonment. In June 2018, special rapporteurs from the UN High Commissioner for Human Rights released as joint statement in Geneva calling for the immediate release of Saibaba taking into account his "ill-health" and said that "any denial of reasonable accommodation for people with disabilities in detention is not only discriminatory but may well amount to ill-treatment or even torture"
Calling Saibaba "a long-standing defender of the rights of various minorities against corporate interests," the UN experts urged the state to guarantee that all human rights defenders the country "are able to conduct their legitimate work without fear of threats or exposure to any act of intimidation or reprisals".